This post was living in my drafts folder from February first week. I click pictures, edit them and then put them in the drafts folder. Depending on how I feel after using it, I keep on adding and writing about it. But, I have no idea how I missed writing about this lovely lip color. Whereas, I use it time to time. So much for planning.....DUH! Enough of my blabber; now, let's talk about the lipstick. 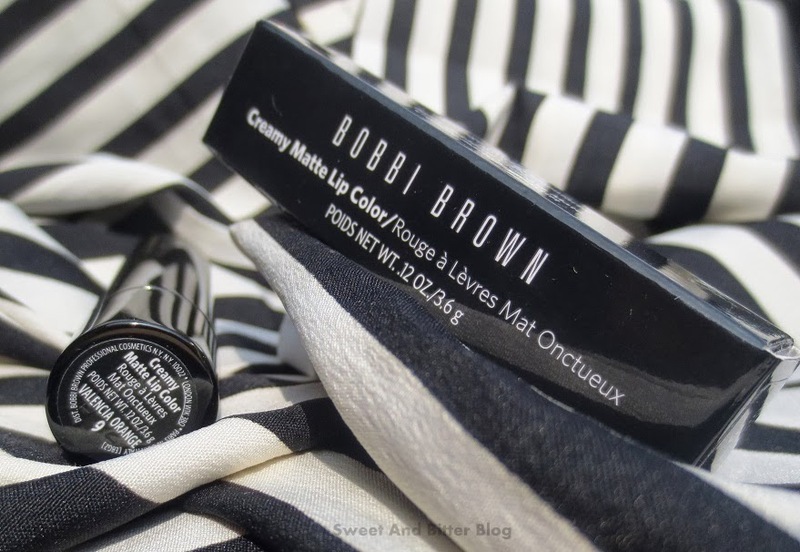 As per Bobbi Brown's website - Bobbi's revolutionary new lipstick - Creamy Matte Lip Color combines the look of a classic matte lip with incredible wearability. 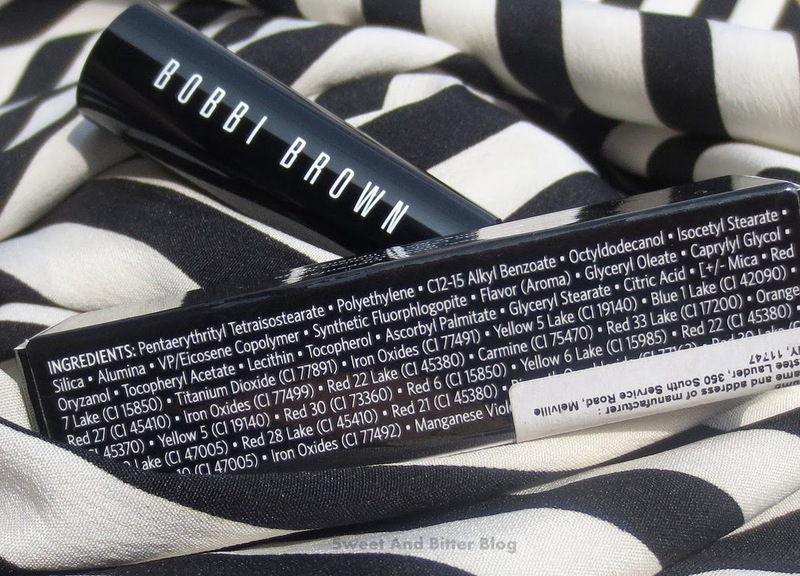 Creamy and moisturizing, it glides on comfortably and feels light-as-air. Not to mention that it's got staying power, too (it won't budge for 8 hours). Inspired by the looks she was creating for Fashion Week; Bobbi set out to develop the perfect color range, everything from nudes to brights to bolds. We're pretty sure you'll want more than one color. Availability - There are two Bobbi Brown stores in Delhi. The first one opened at Select City Walk around a year back. This lipstick is from that shop. I also got another blush from that shop. Recently, another opened at Gurgaon. 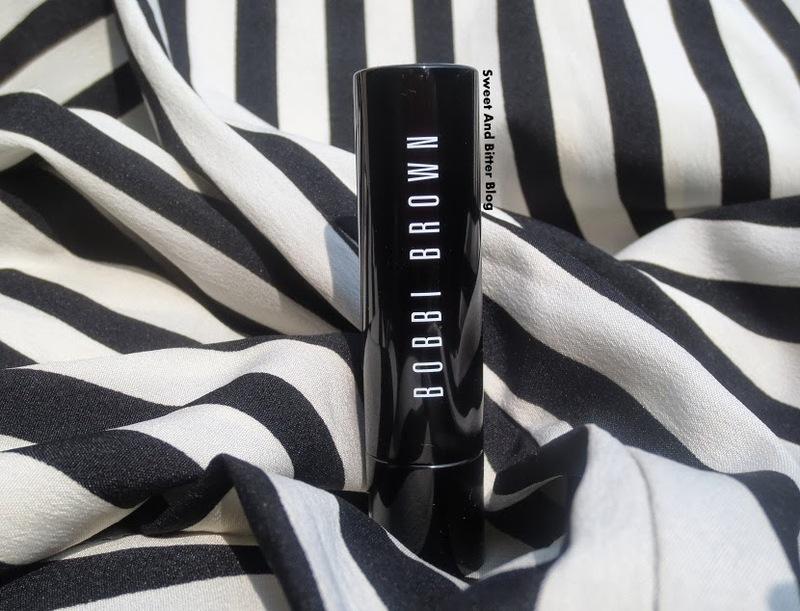 Bobbi Brown is not available online in India. 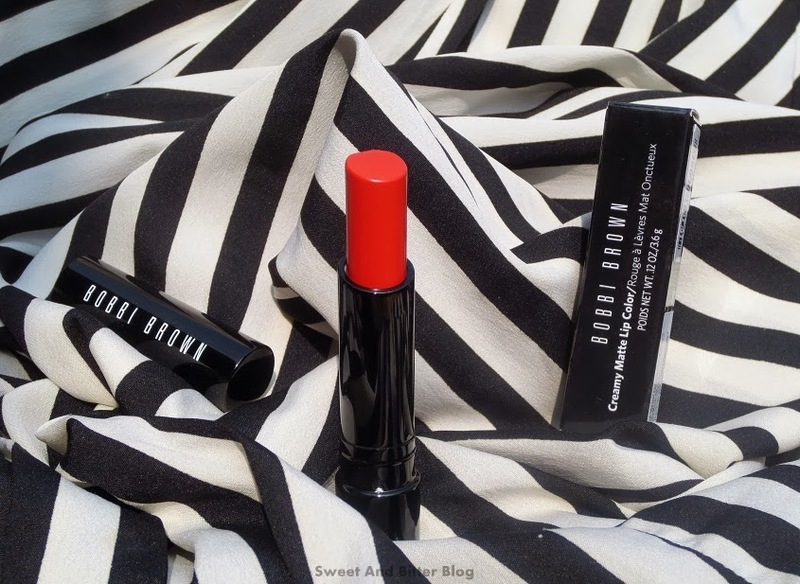 Color - Bobbi Brown Valencia Orange is described as coral orange. It feels like the coral lip colors worn in old Hollywood movies. Valencia Orange is darker than both but comparable with two of my favorite orange lipsticks - MAC Booyah!!! and Revlon Kiss Me Coral. MAC Booyah!!! 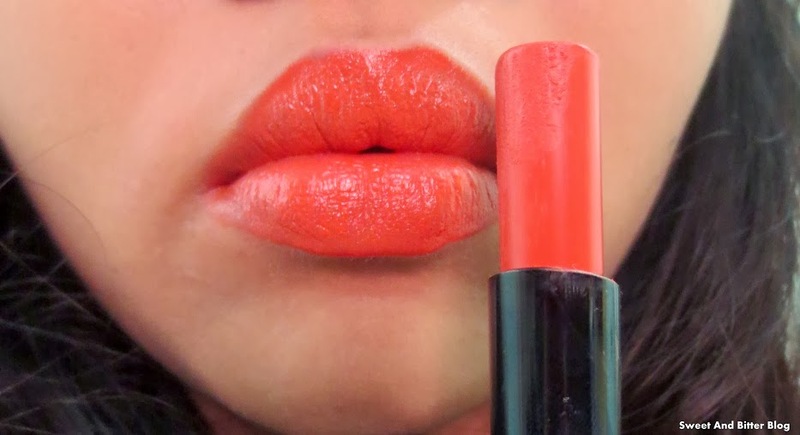 is brighter and Revlon Kiss Me Coral is more glossy and redder toned than Valencia Orange. 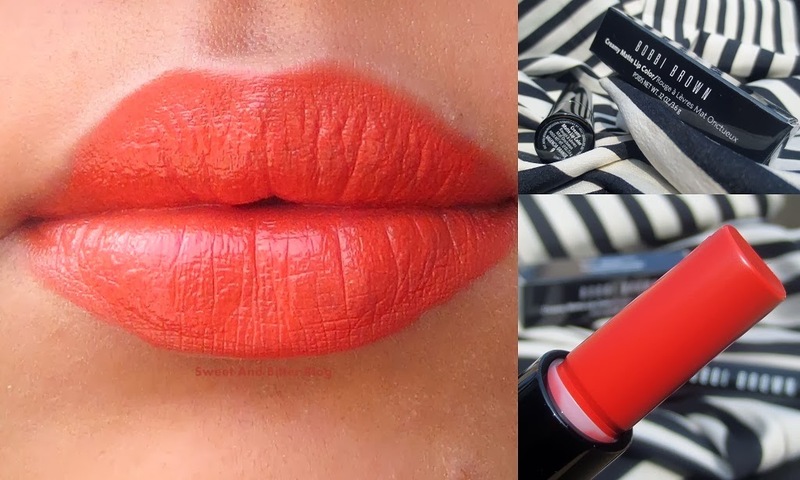 There is another orange in the Creamy Matte range - Jenna - which is a bright orange color. Texture - They are true to the name - Creamy smooth lipstick which dries into a full matte finish color. Light weight and feels like nothing. It does dry my lips after 3-4 hours but only during winters. I have not faced any issue while using it in summers. Application - One swipe can do the magic. They glide real smooth with no issues. I wear this either by dabbing a bit and then pressing my lips for a light barely-there-tone or full swipe to give the bold effect. Even when I wear the color in full, I do not have creasing. Payoff - As this is light and feels like nothing, you might think that the lip color is gone after a few hours. Surprise Surprise! The color last really long. It starts fading after 4-5 hours and then the stain lasts for another hour or so. Price In India - Rs 1300 for 3.6g. The price might have increased recently. Creamy texture which glides easily. Color selection is great for this range. Valencia Orange is really unique and nice. Overall - Only after I got this, I realized that I have a serious weakness for orange lip colors. Somehow, they compliment my skin tone better. And I am in love with the formula and texture so, don't get me wrong if you see me buying more from this range. Valencia Orange is THE orange to start with in case you are still thinking about wearing orange lipsticks. 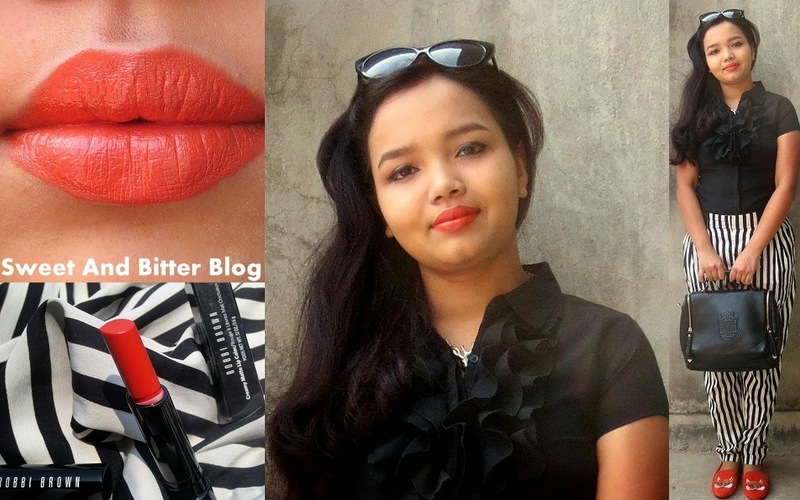 The color is muted compared to most orange lip colors but yet grabs attention.